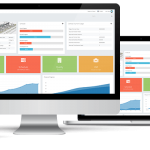 OnDemand Projects are a software development company specialising in cloud based project management for the construction and IT industry. We develop tools that enable full transparency of projects from initial conception through to completion. The software is all cloud based on secure Microsoft hosting and allows users to constantly have access from all modern devices. We are based in Lancaster, in the North West of England, but work with clients all over the UK, Middle East and South Africa. Our development team have experience in the construction industry, as well as the digital and IT sectors.